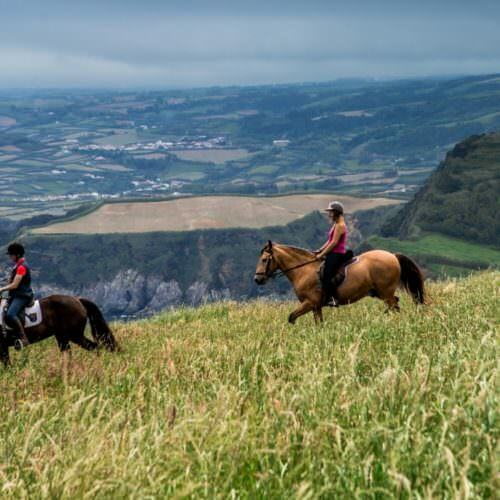 The lush green landscape of Sao Miguel, a volcanic Island in the middle of the Atlantic is home to some amazing trail rides and centre based horse riding holidays in the Azores. The island has a network of tracks, built throughout the centuries which are perfect for riding and still used by farmers. 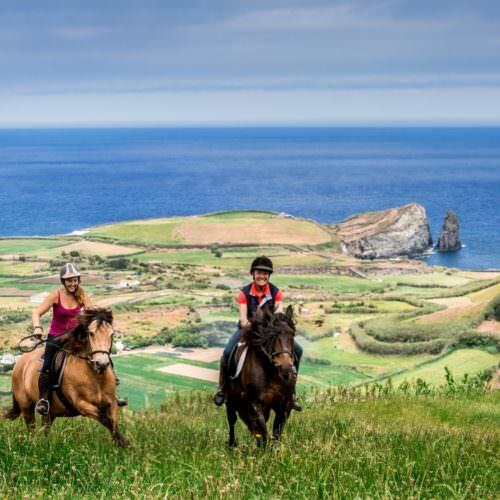 The riding is on São Miguel the largest island in the Azores in the middle of the Atlantic Ocean. You are based at the comfortable Quinta da Terça and the various riding trails take you to dramatic areas of the island. For those wanting a greater degree of sight-seeing the Atlantis Ride has fewer hours of riding. The riding is on São Miguel the largest island in the Azores in the middle of the Atlantic Ocean. This flexible itinerary allows you plenty of time to relax and explore this island. Dolphin and whale watching is a must do activity. 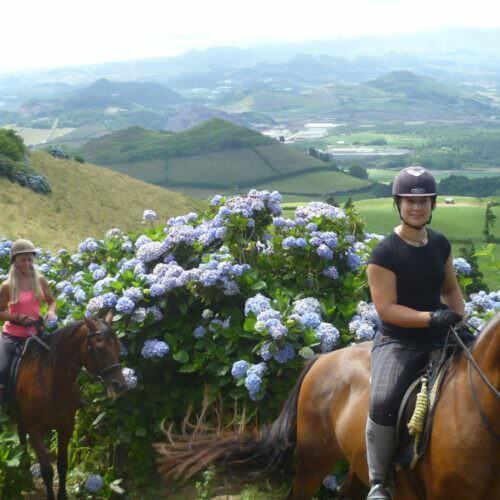 Learn to ride in the lush green landscape of São Miguel the largest of the Azorean islands. This ride is suitable for beginner and novice riders or those wishing to gain confidence.